CASIO G’zOne Ravine 2 is a rugged phone which has lauched by Big Red for those who love to accept challenges and also those who go for some expeditions. 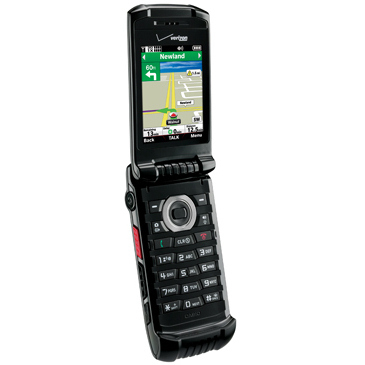 You can buy it this handset online from Verizon Wireless starting November 17 while you can get it from stores starting November 23. The price of G’zOne Ravine 2 is $150 (110 EUR) after a $50 mail-in rebate and with a new two-year agreement. CASIO G’zOne Ravine 2 Rugged Phone of Verizon meets Military Standards 810G that’s simply means it has great resistance power against vibration, immersion, water, humidity, shock and dust resistant, solar radiation, salt fog, altitude and low and high temperature storage. As it is a rugged phone therefore it comes with a compact body and durable design.The people who love to do hiking can find Casio G’zone Ravine 2 a perfect companion because this handset has a power to withstand dust, occasional sprinkles and accidental shocks. Although it is rugged device yet it comes with impressive specs. It is not an Android guy but it has Casio G’z Gear operating system. The software brings 7 modes for you so great customization is on hand for the users. It comes with a 3.2-megapixel rear camera with autofocus and LED flash. 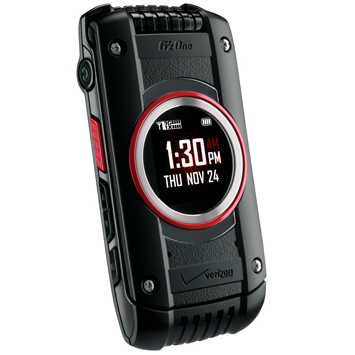 Casio G’zOne Ravine 2 Verizon Wireless Rugged guy is featured with Push-to-Talk capability and is pre-loaded with a range of apps and services including. You are able to browse the web with the mean of Opera Mini browser while it also have VZ Navigator and VZ CAST Tones. Casio G’zOne Ravine 2 packs with Bluetooth and a microSD card slot for memory expansion (up to 32 GB). It features with global roaming and make it feasible for you to stay connected in more than 200 countries around the globe. You are free to take it anywhere anytime with you and there is no need to worry about.